With the character now in the spotlight thanks to Captain America: Civil War I thought I would dive in and see if the new series would be worth the time. Guess what, it is! A brief prologue helps set up the situation: Wakanda is recovering from an attempted coup led by Doctor Doom and an invasion led by Thanos and his minions and the death of Shuri, the sister of T'Challa and the person he left in charge. As this issue opens T'Challa is trying to restore order but finds his people angry and not ready to accept his rule again. 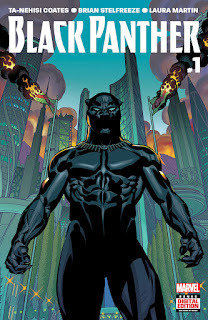 Further complicating matters is a new threat rising near the border and questions about T'Challa's ability to rule. To say more would ruin the surprise. A strong first issue for any series, this incaration of Black Panther manages to tie in its comic book world with real world questions of political unrest, distrust in government and questioning our leaders without becoming preachy or trying to convince you which side is right. 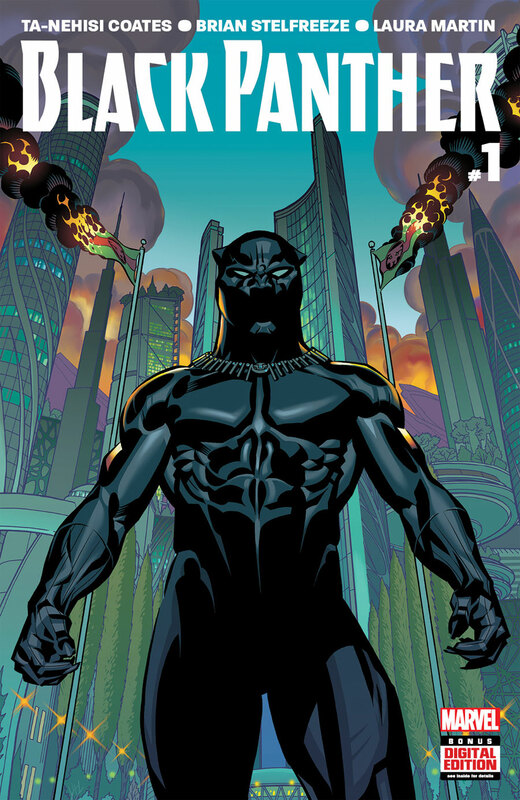 Written by Ta-Nehish Coates (a writer for The Atlantic magazine) the story places T'Challa in a world that mirrors our own while at the same time staying true to the character that has been developed for decades. It's a gripping start and hopefully will continue throughout the series. 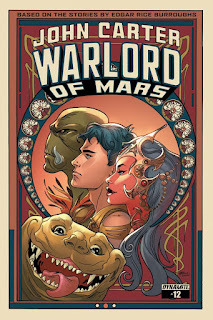 Helping is the striking visuals courtesy of artist Brian Stelfreeze that presents both the real world and the science fiction side by side without making it look odd or out of place. His character designs are strong and while there isn't a lot of action in this issue he manages to capture the settings and brief moments between characters with style that helps compliment the story without overpowering it. If you have just been introduced to the character through Civil War or if you have been a long time fan this Black Panther is a strong start and a must buy. Next time some book reviews.